If you have been to New Orleans, you have probably been to Bourbon Street. And, if you have been to New Orleans, you probably don’t want to go back to Bourbon Street. 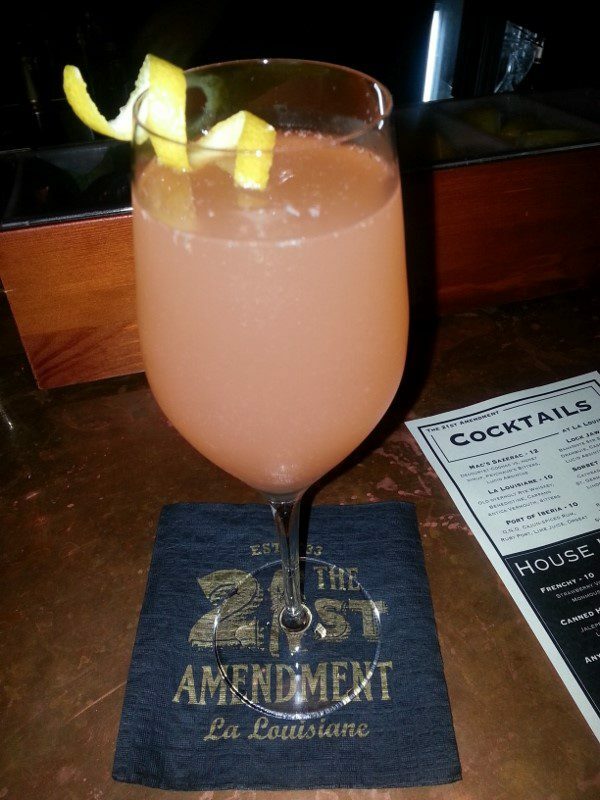 After all, New Orleans has plenty of places to drink classic cocktails where you don’t have to deal with the madness of the crowds and mediocre drinks on Bourbon Street! 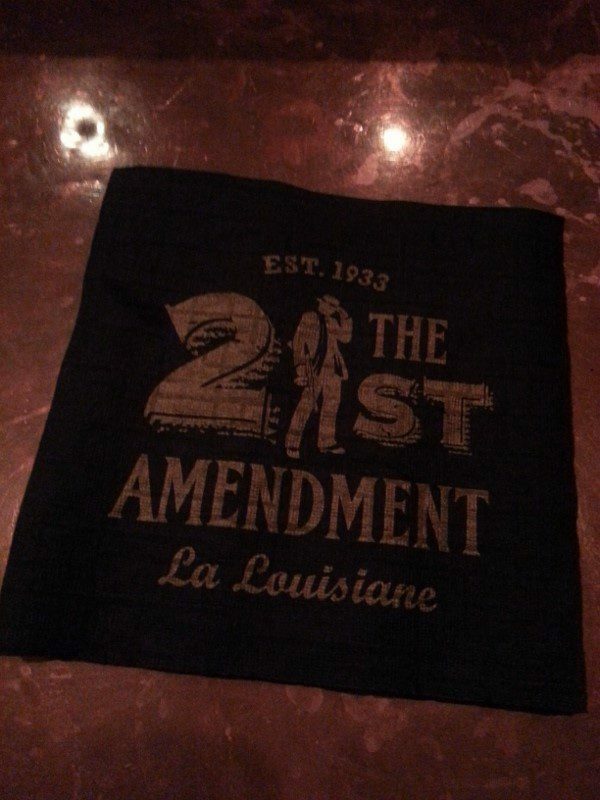 Just off Bourbon Street, on Iberville Street, is 21st Amendment, named after the amendment that repealed Prohibition. 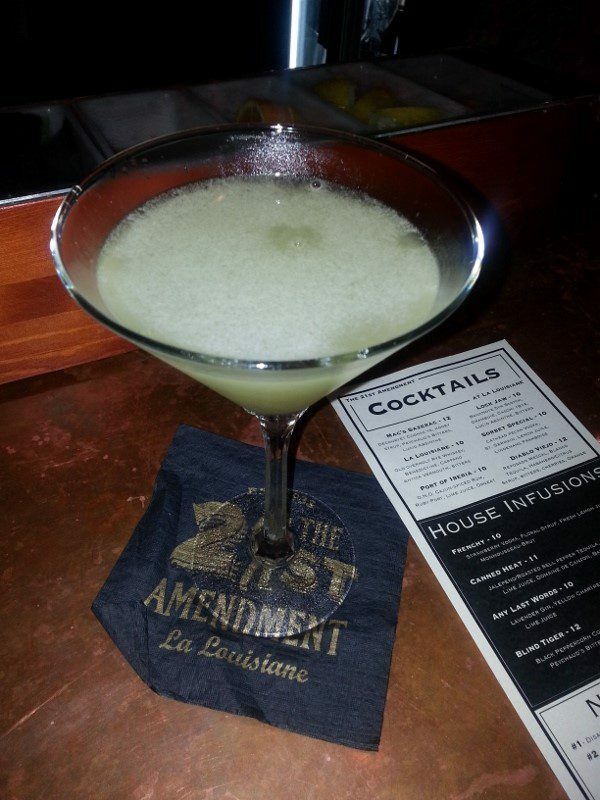 As the live jazz music pours out of the doors, you will be drawn into 21st Amendment. But, this is not the place for watered down Jack and Cokes or Hurricanes. 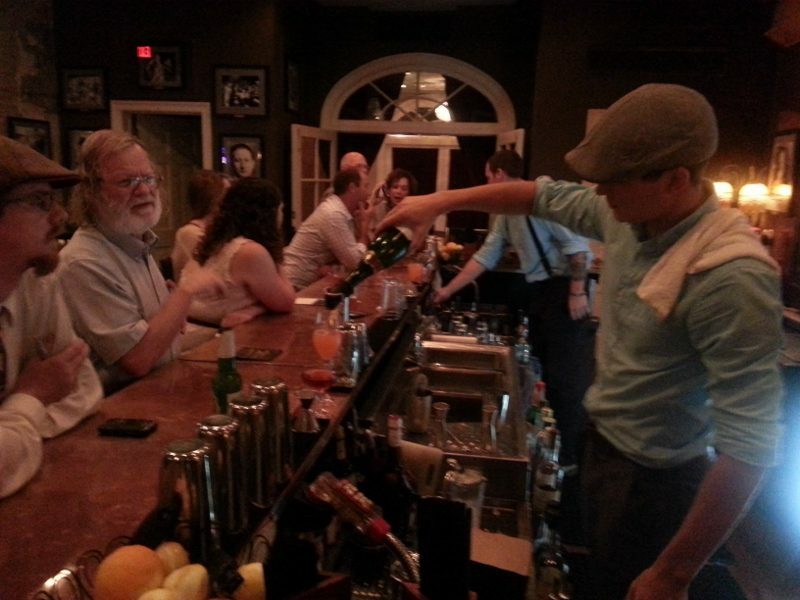 With gangster photos hanging on the walls, copper sheeting on the bar, the movie The Godfather playing on the flat screen behind the bar and bartenders in page boy hats and suspenders, you will be taken back in time to the Prohibition Era. The crowd is generally classy but there are tourists in their shorts and t-shirts, drawn in by the music, who order a $5 beer in a plastic cup and go on their way. But, pull up a seat at the bar or at one of the cocktail tables and stay for a drink as these bartenders know what they are doing. 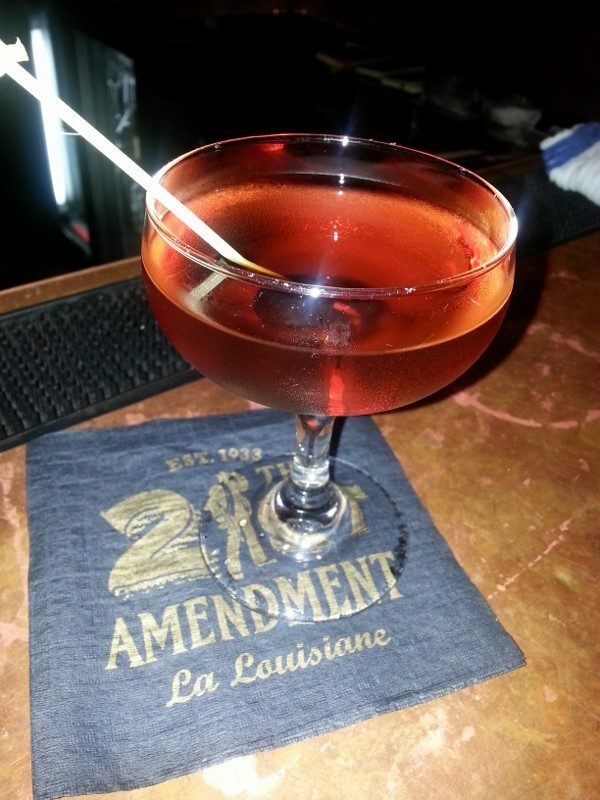 This entry was posted in Cocktails and tagged 21st Amendment, 21st Amendment La Louisiane, bar, Cocktails, DrinkWire, Liquor.com, New Orleans by Allison Levine.